2018 started with a bang with our oversees wedding in Korea. Our initial design walk through to Korea was in October 2017 under the helm of Youngsong Martin where we spend a few days meeting with the vendors, going over logistics and layout etc. Since the wedding was early February of this year, the team got there a few days before and went directly to work. The end product was breathtaking and the most important thing was clients were very happy. We had a lovely baby shower at a private residence of a very dear client who has become a family. Next was a fundraiser event for Korean American Council at the beautiful Intercontinental Downtown Los Angeles which was very successful. One of our previous clients recommended us for her sister’s wedding which was at Padua Theater, a venue we had never worked at and were pleasantly surprised at the staff’s efficiency. Our clients were over the moon and the testimonial was absolutely awesome. Our biggest wedding of the year was for the most darling couple. 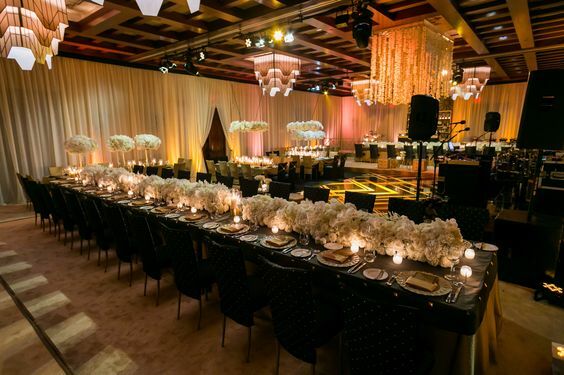 It took place at the Fairmont Grand Del Mar in San Diego. All the wedding festivities were beautiful, so royal and regal. Our bride’s testimonial just touched us to the core of our hearts. Immediately following was a Turkish couple who got married at Montage Laguna Beach. Our last event of the year was a formal dinner in honor of the famous Indian movie director Sanjay Leela Bhansali and was a huge success. We wish each and every one of our readers and followers an Exquisite New Year! Where to even begin... THANK YOU just doesn't seem enough to show how much Kevin and I appreciate all you have done for us. I am not going to lie, I do truly miss all the emails from you and our daily conversations! Kevin and I had such an unforgettable wedding weekend, thanks to you and your team. We danced our hearts out, enjoyed with guests, laughed with each other- memories we will cherish throughout our marriage. You made our wedding weekend so stress-free, to the point we felt like guests at our own wedding!! We both thoroughly enjoyed our wedding, as I am sure you noticed, and we could not have done so without your help. From start to finish, you made it such a lovely and fun process. Our wedding was BEYOND BEAUTIFUL!! The hot air balloons, the elevated flooring, the carpeting, the tents, the mirrors, the dance floor, the chandeliers, the flowers, the music etc...EVERYTHING was out of a magazine. Thank you for introducing us to such amazing vendors that worked tirelessly to make all our wedding events look spectacular. You exceeded all of our wedding dreams! You truly did make it an EPIC, UNIQUE and BEAUTIFUL wedding!! During our first phone call, I told you how you are family to us and that will forever hold true. Just like family, please do keep in touch!! We miss you already and hope to see you soon! If you are ever in the Fresno area, please do let us know!! THANK YOU THANK YOU for our EXQUISITE wedding!!! Hi Nikki!!! We are still in awe of last night and can’t believe it’s over. We are so grateful of the amazing vision you had and your ability to execute it with such ease. You, Madiha and Salima never looked stressed at any point yesterday, and it really helped me relax and enjoy the whole day. Darren and I want to thank you & your team again from the bottom of our hearts! We are getting so many kind words regarding the wedding and it would not have been possible without you. Me, Jaya, Anil and Kunjan would like to thank you from the bottom of our hearts for helping us and for creating two Outstanding Events. Everything looked gorgeous! We thank you for your beautiful vision. We will recommend you to all of our friends. Thank you again! Thank you Nikki. You and Madiha did really good job! WE are so thankful! Thank you so much for the exquisite arrangements at the Thanksgiving dinner arranged in Honor of Mr. Sanjay Leela Bhansali. Last Friday, we had the opportunity to design and plan a dinner party for one of India's leading director and producer, Mr. Sanjay Leela Bhansali who was in Los Angeles for a screening of his latest movie for the Golden Globes. We had exactly 48 hours to put the event together with Thanksgiving being a holiday so the first thing we did was head over to the Houdini Estate where the dinner was to take place. It is a beautiful 5 acre property located right off Laurel Canyon Blvd in Los Angeles. It was an intimate dinner for members of the press and some of Mr. Bhansali's close friends and family and we wanted to create something very regal that would compliment his stunning set design aesthetic. 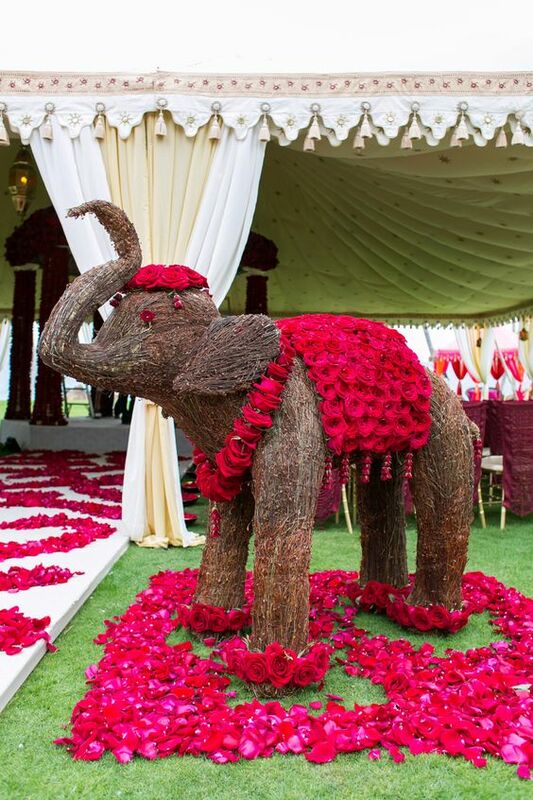 The idea was to bring in rich reds and golds with beautiful tabletop decor and lush flowers reminiscent of Rajisthan. So grateful to our Exquisite Team for helping us turn this beautiful dinner around in just two days! We had the honor to design and plan a private dinner for Yumi, a baby meal delivery program that focuses on organic and nutritional super foods for the little ones. The dinner was co-hosted by Payal Kadakia, founder of Class Pass and Anjula Acharia, manager to Priyanka Chopra along with the founders of Yumi, Evelyn and Angela, at a beautiful estate in the Hollywood Hills. We incorporated the Fall season into the table scape using yellows, ambers, and creams. Coupled with the candlelight on the tables and the built in fireplace it made for a truly warm and inviting ambience. Crateful Catering prepared the delectable family style dinner including seasonal salads, pasta with black truffle sauce, filet mignon and black cod complete with a Caprese cake with homemade pistachio ice cream from Chef Luciano. A special thank you to Anita Chatterjee of A-Game PR and Anjula Acharia for bringing us on board. It's Friday! And we have an exquisite wedding to share. We apologize as we have not been posting as frequent. Moving forward, look out for our bi-weekly blog posts. We are excited to be back! We had met Bindi about four years ago when we planned her sister's wedding. Her bubbly, vivacious and easy going personality was very noticeable and made her sister's wedding all the more joyful. I got a call from Bindi about eight months ago when she gave me the great news of her engagement and that she wanted us to plan her own wedding. It is always very exciting to plan a wedding of a family member where you have developed a history and needless to say we were over joyed. We met Bindi and her fiancé Darren for our first design walk through at Padua. It was an instant connection with Darren. It was apparent that Bindi had chosen him as her life partner as they both possess a calm demeanor. Their vision was to create a fairy tale wedding in soft colors and let lighting do the magic. We decided to hold the Hindu Wedding in the morning at the front courtyard of the venue and do the flip for evening reception. The ballroom was dedicated for after party which worked great. The setting was magical amidst mature olive trees and weather cooperated fully. After the Hindu Ceremony, guests enjoyed a quick lunch and headed to the church for Christian Ceremony. Front courtyard of Padua was now reset for dinner reception and the place looked straight out of fairy tale. Couple made their entrance and went straight into first dance. Guests and families all had a great time. The transition from dinner to after party was a lot of fun when the couple lead their guests on a conga line. After party was a smashing success with dance floor and bar packed at all times. Throughout the night we had guests approaching and thanking us. We wish Bindi and Darren a blissful married life. "Hi Nikki!!! We are still in awe of last night and can’t believe it’s over. We are so grateful of the amazing vision you had and your ability to execute it with such ease. You, Madiha and Salima never looked stressed at any point yesterday, and it really helped me relax and enjoy the whole day. Darren and I want to thank you & your team again from the bottom of our hearts! We are getting so many kind words regarding the wedding and it would not have been possible without you." Special thank you to all our partners! Meet our next Exquisite Woman Entrepreneur, Anita Chatterjee. Anita is the founder and CEO of A-Game Public Relations based in New York City. A-Game PR specializes in publicity and branding for the tech sector, high-profile celebrities, and consumer packaged goods firms. Her clients include Rohan Oza, guest shark on the hit ABC show Shark Tank; Ne-Yo, the Grammy award-winning singer, as his tech/business publicist; Dave Asprey, world-famous biohacker and founder of Bulletproof Coffee; Payal Kadakia, founder and chairman of ClassPass; CAVU Venture Partners, the hottest venture firm in the CPG space; and several other dynamic brands and people disrupting the world! Let’s meet the exquisite Anita! Exquisite Events (EE): Where did you grow up? EE: Is PR something you always wanted to do? AC: Yes, I always had an interest in PR. As a student I would always take on leadership roles promoting organizations, events and people who I believed in. Public Relations has always been a part of my life—beginning well before I ever pursued it professionally. EE: How did you get started in PR and who was your first client? AC:. My very first client at A-Game Public Relations was Rohan Oza, a huge win for a new company! I have undergraduate and graduate degrees in Public Relations, so I worked at different firms before I started my own business. I was in talks with another firm about partnering with them, but then I realized that my best option was to build my own company. I was aware of my talents and knew they wouldn’t shine unless I worked for myself. My friend and mentor Anjula Acharia introduced me to Rohan Oza who at the time was looking for a good publicist. He took a meeting with me and grilled me on my strategic plan for his brand. He liked the plan, agreed to hire me, and said let’s see if you can pull this off. Four years later, Rohan has been featured in many top-tier publications like the New York Times, Forbes and Fortune; is widely known as “The Hollywood Brandfather;” and is a guest shark on the hit ABC show Shark Tank -- so it looks like I pulled it off! I have become close to him and his team and am grateful that he believed in me and has continued to support me as a new entrepreneur. I was lucky that my first client not only has a killer track record but is also a great guy! EE: We know that you represent quite a few heavy hitters in a range of industries. Can you tell us a bit about your clientele roster? AC: Sure. I represent several high-profile celebrities and business leaders, along with brands and tech start-ups. Being a female founder myself, it’s important to me that I represent female -founded companies. Some of the amazing female-founded companies I represent include Gobble, the originator of the 15-minute gourmet dinner-kit; Yumi, an organic baby food delivery service; and Pop & Bottle, a delicious plant-based beverage company. Of course, I also represent the dynamic Payal Kadakia, the female founder of ClassPass, which just raised an additional $85 million to fuel its global expansion. On the celebrity front I am working right now with the Grammy Award-winning artist Ne-Yo as his business and tech publicist, and I am also working with his wife who is a celebrity Chef and TV personality. EE: What advice would you give your younger self? AC: Life is not about what you want. It’s about what you need. EE: How important is social media to your job and clientele? AC: Very important. Social media enables them to connect directly with the public. No other platform enables that kind of direct unfiltered dialogue. EE: What do you do when you are not working? AC: I spend time with the people I love -- most importantly my husband! EE: What is on your bucket list? AC: I don’t have one! My desires keep changing! I know if I created a bucket list now it would most likely change a year from now, so I take things one step at a time. We absolutely love destination events! It is such a great way for you and your guests to experience a new city or country as spend some quality time with each other. 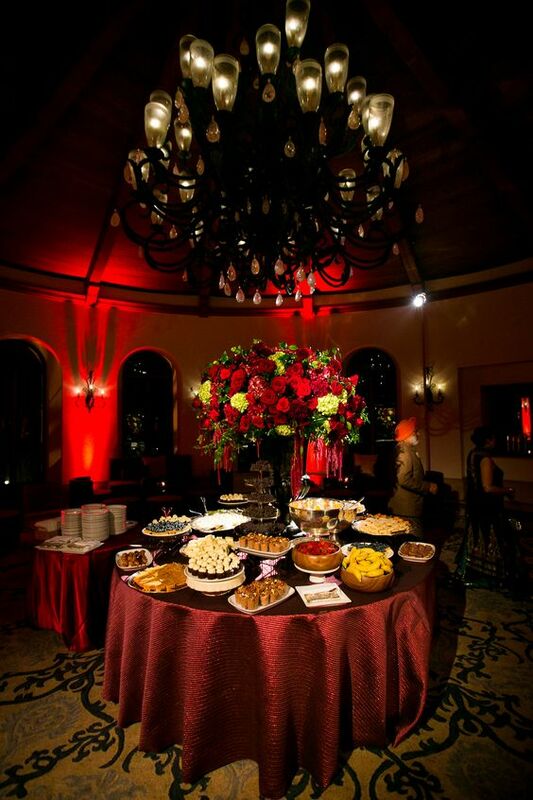 Recently we designed a dinner party at the stunning Four Seasons in Punta Mita Mexico. If you have not had a chance to visit, it is just about 40 minutes outside of Puerto Vallarta and the most lush property sitting on acres and acres of land right on the water. The party was for 16 and literally right on the beach during sunset, and what a sunset it was! Manzillas beach is one of 2 large beaches at the hotel where you can have a ceremony and reception. 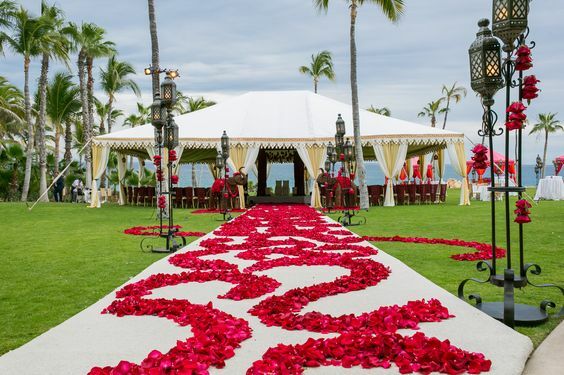 The idea was to do one long table placed right on the sand. It is such a romantic setting as it is so we wanted to compliment the beautiful backdrop by incorporating crystal and lush flowers. The colors were light pinks and creams and we chose a beautiful white embroidered linen and chair covers perfect for a dinner on the sand. 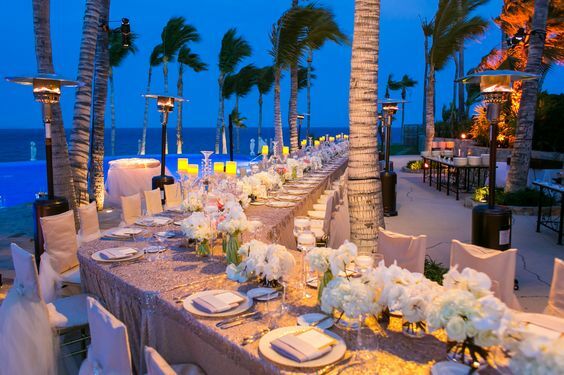 Whether it is an intimate dinner such as this or an event for 500, there is something truly magical about destinations and the Four Seasons Punta Mita is one of those destinations!. We cannot wait to go back! We would love to hear some of your favorite destinations! Special thank you to our partners! The Council for Korean Affairs held their inaugural INSPIRE gala with the help of Exquisite Events. The event was in celebration of Korean American excellence in Design, Performance and Sports. 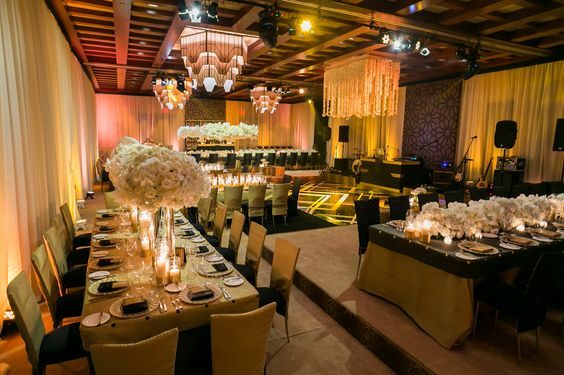 We had the pleasure of designing and planning the corporate event at the stunning new InterContinental Hotel in Downtown Los Angeles. 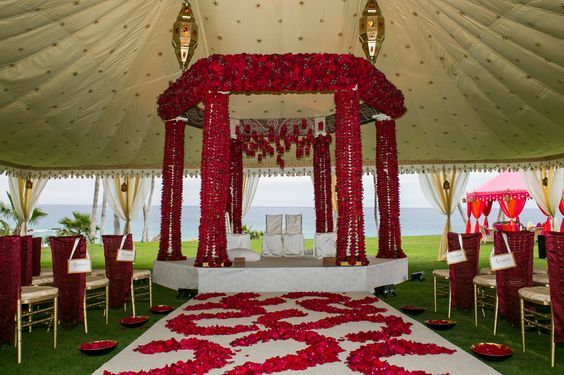 Strength and beauty was shown throughout the decor with bold hues of red accented with roses and orchids along with twilight lights. The evening was full of incredible performances, honorees and a fashion show by acclaimed designers, SJYP where proceeds are shared with local and national cases. Thank you to the co-chairs Suzan Lee Paek and Jinhee Kim, the CKA board, partners and our incredible team for helping us put together a beautiful and successful event! Special thank you to our partners and the Council of Korean Americans! There are beautiful destinations all over the globe and here are a few of Nikki's favorites for destination wedding locations. They are by no means the only ones. Come with us as we take a look at our top spots across the world! Located on the shores of the magnificent Bosphorus, overlooking the ancient city, Ciragan Palace Kempinski Istanbul offers the glamour of a genuine Ottoman palace in a city where east meets west and history meets the contemporary. It has splendid style, a superb location, fascinating view and resort ambiance, including a spacious green garden with palm trees, there are endless spots to explore. With its 313 rooms, the historical palace, including the Sultan Suite, one of the biggest in Europe, enjoy 24-hour private butler service and absolute privacy, including a private entrance and a lounge. This palace is rich variety of restaurants and has already been a host location for high-end events such as the location for a Chanel catwalk and site of an Oprah Winfrey party. Notable awards include Travel + Leisure's World's Best Hotels, World's Leading Heritage Hotel in the World Travel Awards and numerous Conde Nast's awards. This is a phenomenal location for a destination wedding and one that Nikki highly recommends. We wrote about this enchanting and romantic location earlier in the year and it is so special for those who are looking for a location with breathtaking landscape with Old World charm. Not to mention it is located in beautiful Tuscany and is the perfect setting for a very Italian style destination wedding. The 5,000-acre estate provides an array of exclusive wedding venues includes the historic church of San Michele Arcangelo with its frescoes by Pietro Lorenzetti. 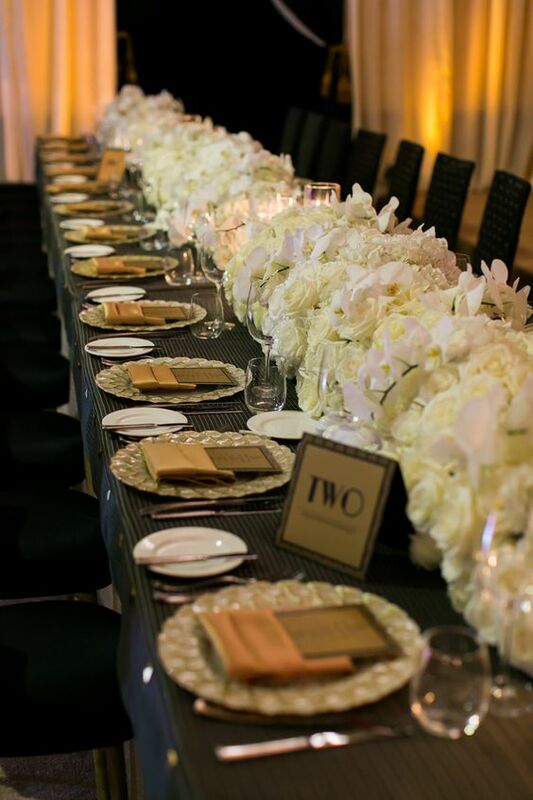 Whether hosting an intimate exchange of vows, an exquisite ceremony or a reception, all wedding occasions are paired with personalized service and delivered with uncompromising sophistication. The hotel offers a wide range of suites from Junior to Terrace suites and Villa suites ranging in size from 700 ft to 2000 sq ft. We would love for any brides looking to get married in Tuscany consider this upscale hotel for their destination wedding to provide an unparalleled experience to their guests. Madiha and Nikki both had the pleasure to plan a destination wedding weekend at the One and Only Palmilla in Los Cabo. A verdant oasis on the tip of the Baja Peninsula, where azure waters greet the mountainous desert and the Pacific Ocean merges with the Sea of Cortez. One and Only Palmilla is where warm waves break onto a dramatic shoreline and the perfect hot spot for a destination wedding. Here, the gracious style of Old Mexico - with its red-tiled roofs, whitewashed walls, and idyllic setting of exquisite fountains - is quietly nestled amidst swaying palms, bird of paradise and other tropical bloom. This location had a variety of locations on-site to host many different wedding festivities. Royal Mansour in not your ordinary hotel, it is a top Moroccan retreat showcasing the region's artisans with extreme details. From the Yves Saint Laurent museum to Sahara desert tours, special dinner to colorful bazaars, private tours and hot air balloon rides, there is so much for guests to enjoy and explore in this amazing city. It is home to a high rated spa, luxury poolside cabanas in their indoor and outdoor pools, and restaurants and bars which features local and international dishes on property. From beautiful intricate architecture to breathtaking rooms, this is a perfect destination to wed.
Florence as a city has a romantic energy and would be a stunning location to get married in. With some much history and culture, the Four Seasons in Florence houses 116 guest rooms, delicious restaurants, bars and lounges, a full-service spa, beautiful pool, terrace and not to mention luxurious art, decor and architecture. Four Seasons around the world are known for this top notch service, luxury and will provide a wonderful experience for your guests. We had the distinct privilege of being invited to speak at 5th Destination Wedding Planners Congress in Los Cabos, Mexico. The Congress was conducted in partnership with the Los Cabos Tourism Board and The Mexico Tourism Board and as always did not disappoint. The DWP Congress saw over 600 attendees from 70 countries and it was an honor and humbling to share this global platform with the esteemed speakers. As soon as we landed, we were greeted by mariachi band and Mexican dancers. We were then whisked away to a private area which was set up by DWP to welcome attendees. Refreshments and snacks were offered and we were then driven to the resort in a town car. Cabo del Azul is a stunning resort and after we were met by the GM of the property, we were escorted to our penthouse suite. This was another highlight of the trip. The 3,000 sq feet suite is impeccably furnished by Mexican artisan resort employs 70 carpenters whose job is to create all furniture pieces and wood work and it is by far the finest I have seen. Here is a peek at our penthouse! We had a couple of hours before the opening cocktail party which was a 30 minute drive from the resort and decided to chill and take it easy. Opening party was at a golf course and it was nice to see old friends and make new ones. Second day was the start of conference and as always check in was seamless. We got to listen to the most dynamic leaders in the industry and the scheduled meetings with the suppliers were extremely beneficial. Decadent lunch, and plenty of snacks hot coffee and tea were served all day. Evening event was the opening gala which was again off site in a canyon. Vendors had gone all out from lighting, rentals, entertainment, flowers etc and a fabulous night was enjoyed by all. Next day the conference started again by a dynamic speaker and afternoon was devoted to work shops and break out sessions. To our surprise, our session was so popular that the organizers ended up moving us back to the convention center. After our talk, we rushed back to the hotel to get ready for the farewell party which was again at an off site location at Acre. What fun we had at this boho chic event. From the venue to food, entertainment, ambiance and everything else it was truly a unique and fun experience. Like all good things must come to an end, such was the case with this night. We reluctantly said good buy to our old and new friends and boarded the plane next morning to head back to LA. Can’t wait for DWP to announce the next location for the 6th Congress!!!! Over the years, we have helped a lot of couples with interfaith weddings and such was the case with Nishita and Mike. They are both young professionals and wanted their ceremony to be along the traditional lines of festive colors and ambiance seen in Indian Weddings They also wanted to provide a different experience to their guests at the reception and wanted the feel and colors to be elegant and time less and for that reason the color palette chosen was cream and blush. London Hotel rooftop was the site for our ceremony which was embellished and decorated with bride's favorite colors. Our beautiful bride walked down the aisle wearing a stunning lehnga in ( don't remember the exact colors but you can fill that when you see the photo ) and carrying a bouquet that matched her wedding attire and was a perfect compliment. It is very important to keep the cohesive look to ensure that the wedding attire and the bouquet the bride is carrying matches flawlessly. For this reason a lot of our Indian brides carry two different bouquets, one for the ceremony and one for reception. This bride was also very keen on preserving her wedding bouquet. 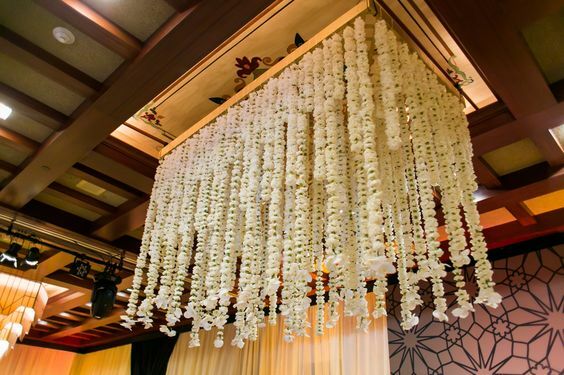 Hidden Garden did a stunning job with adding the perfect amount of bling and choice of flowers.